We offer optional setup and teardown services within 10 miles of Fargo, ND. If you selected setup/teardown please enter the location as well as setup/teardown times. 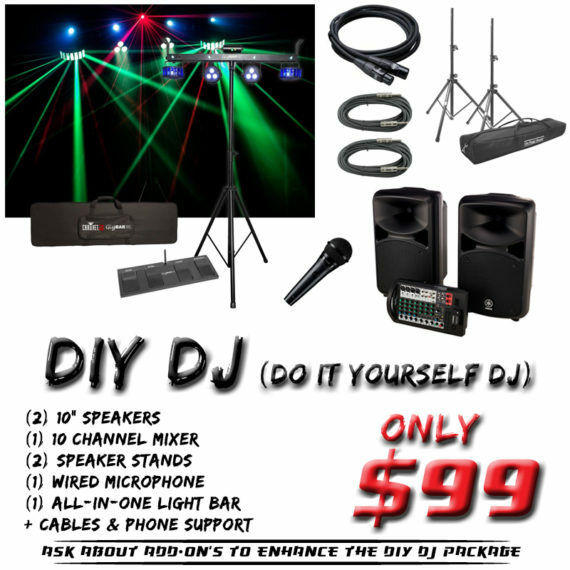 Get ready to be the DJ with our Do It Yourself DJ Package! For only $99 you get everything you need to DJ your own dance. The DIY DJ Package includes Speakers, Mixer, Microphone, Light Show (Wash Lights, Special Effects, Laser & Strobe Lights) and all the cords to hook it up. The DIY DJ Package provides enough sound for for up to 100 people. For larger crowds you can add-on a subwoofer for more sound. 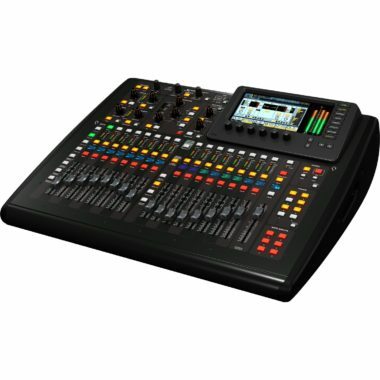 You can also add-on Karaoke or a tablet for music. And don’t worry we will show you how to hook up the system when you pick it up from our shop. Plus we’re available for phone tech support should you need assistance while setting everything up. Q: How long do I get to keep the DIY DJ package? A: Our base pricing is for a one day rental. But we tend to be pretty lenient. If it works better for you to pick up the DIY DJ package a day early we will let you do this as long as the equipment is available. And of course that’s at no additional charge. 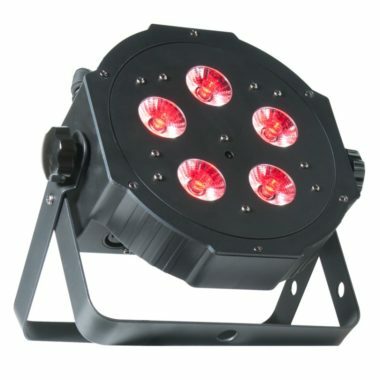 Q: What time is your shop open so I can pick up the equipment? Q: What kind of music is on the tablet? A: The tablet is loaded with the DJay app and over 20,000 songs. It features top 100 lists for each decade from the 50’s through today’s music. Q: How many Karaoke songs do you get? A: When you add-on Karaoke you get access to our 8,000 song karaoke library. Check out our Karaoke song list here: Karaoke Song List. Don’t see the song you want to sing? Request it and we’ll do our best to add it to our Karaoke library before your rental. Q: How big of a vehicle do I need to pick up the equipment? 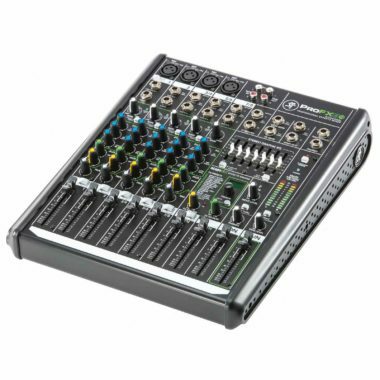 A: Our DIY DJ package is designed to be compact but still maintain high performance so it will fit in a car trunk or back seat.